“This is a story of strength. Once there was a girl who wanted to go to school. But there were those who did not want her to learn. They were afraid education would give her power. The girl did not let this stop her. She dreamed of learning. She was not alone. Weakness, fear and hopelessness died. Strength, fervor and courage was born. In context, our struggles may differ. But it doesn’t not diminish challenges you face. Realize that any struggle is an inner-struggle. Getting over this inner hurdle is the beginning of strength. 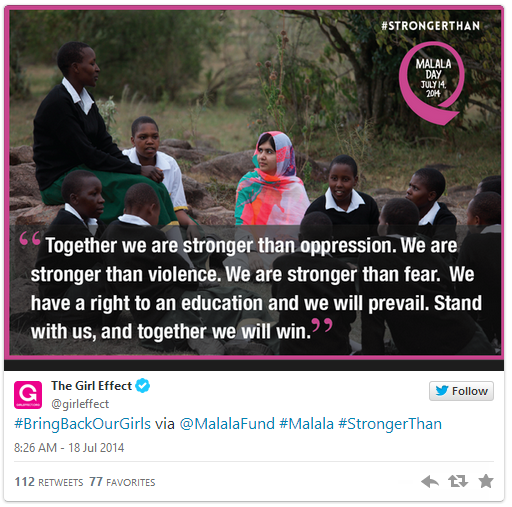 You can see clearly that Malala won an inner battle before any other battles. Leave any comment below.